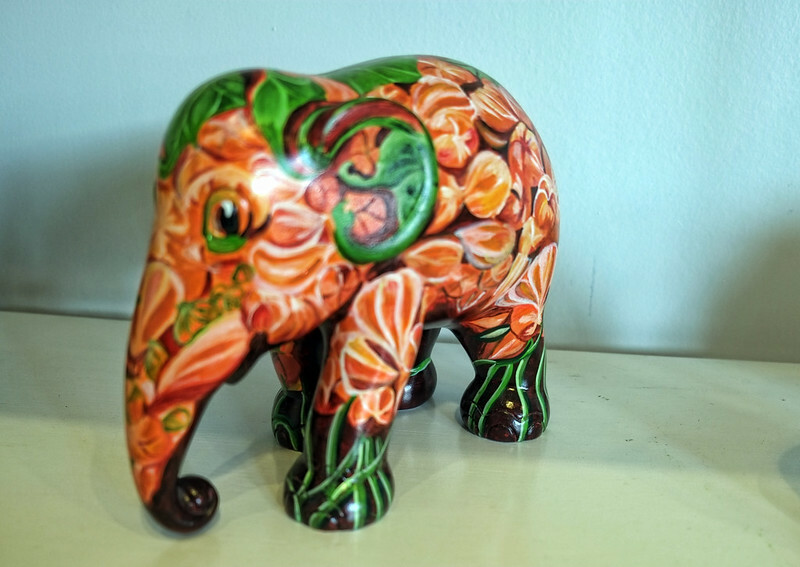 Elephant Parade is an organization that helps elephants in need, and is funded through the sales of these beautiful creations.Welcome to week 215 of Travel Photo Thursday (02/09/2015). What can be more fun than a room full of colorful elephants. 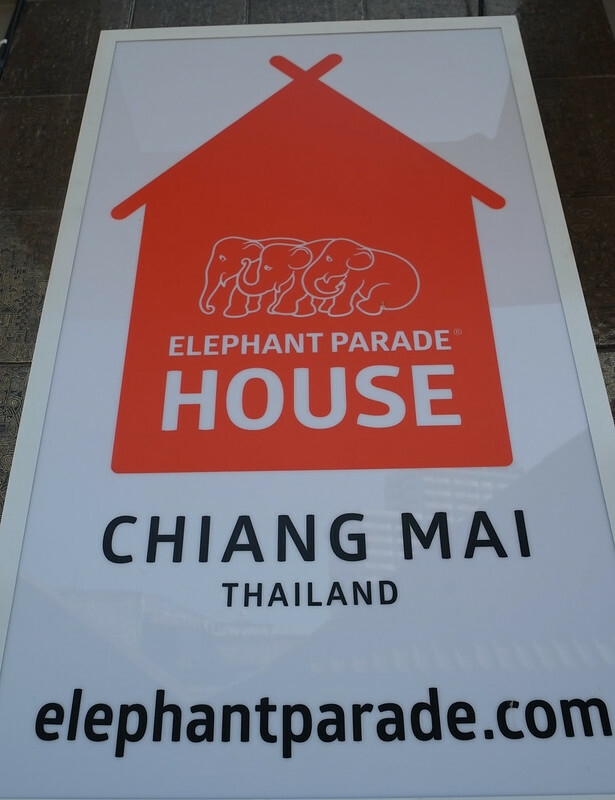 Join me today as I take you on a tour of Chiang Mai's Elephant Parade House. 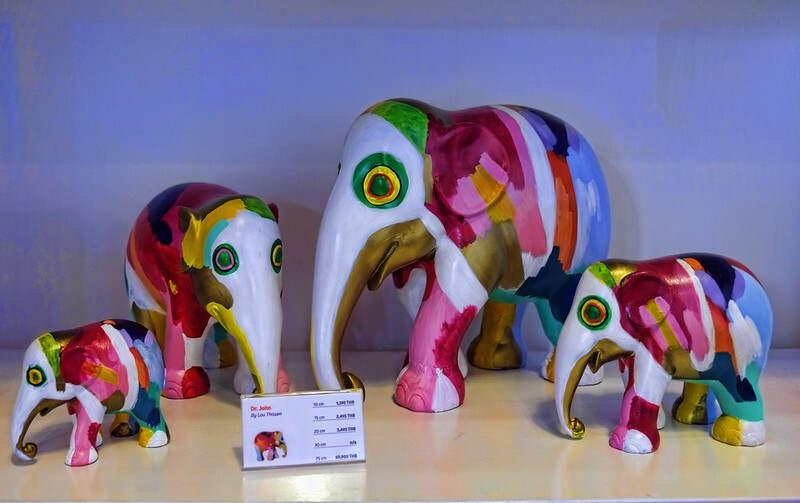 Elephant Parade is an organization that helps elephants in need, and is funded through the sales of these beautiful creations.Welcome to week 215 of Travel Photo Thursday (02/09/2015). What can be more fun than a room full of colorful elephants. 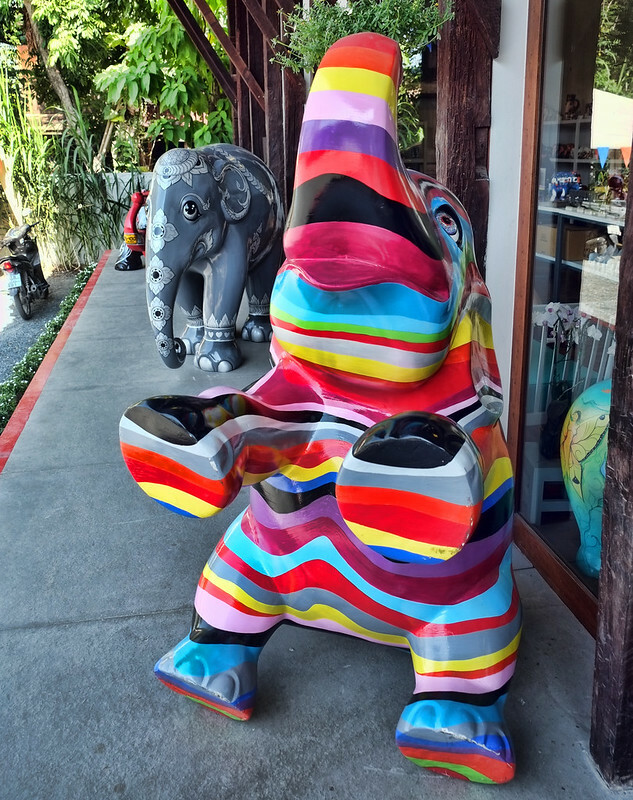 Join me today as I take you on a tour of Chiang Mai’s Elephant Parade House. 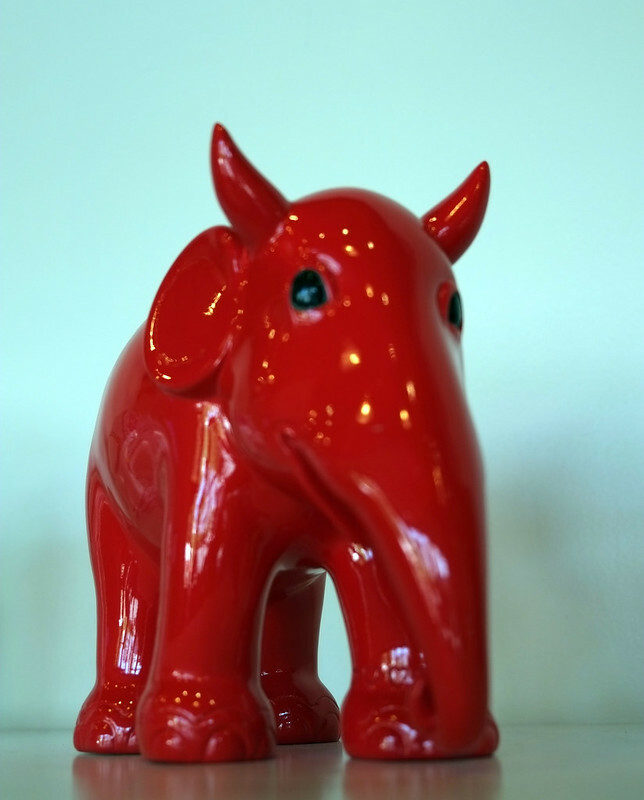 I smiled as I walked in the door, remembering back to the day that I bought MY elephant. Two hours slipped by before I walked out with my little guy all wrapped up for his journey back to Korea. 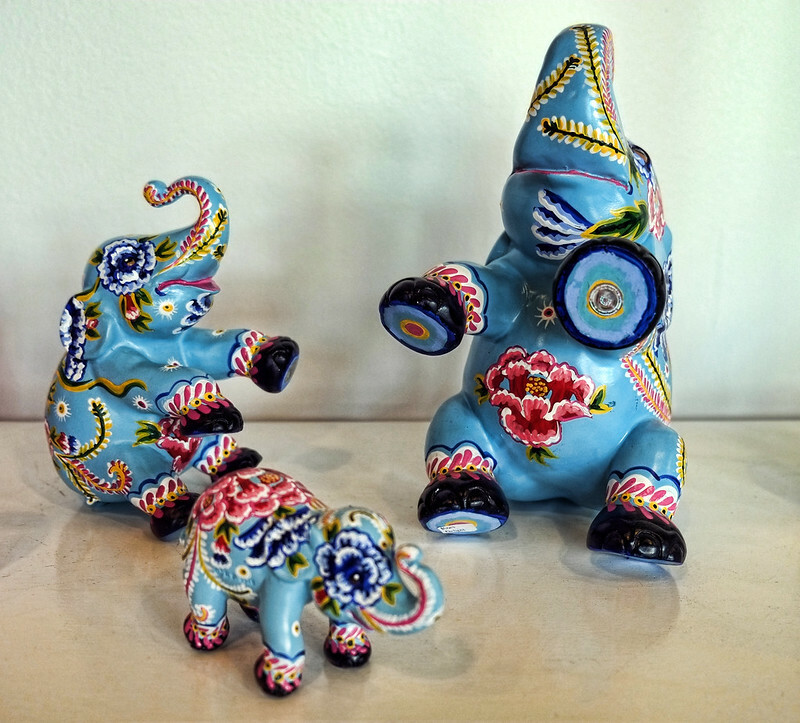 Trust me, each elephant is beyond beautiful, and I really did want one of each! 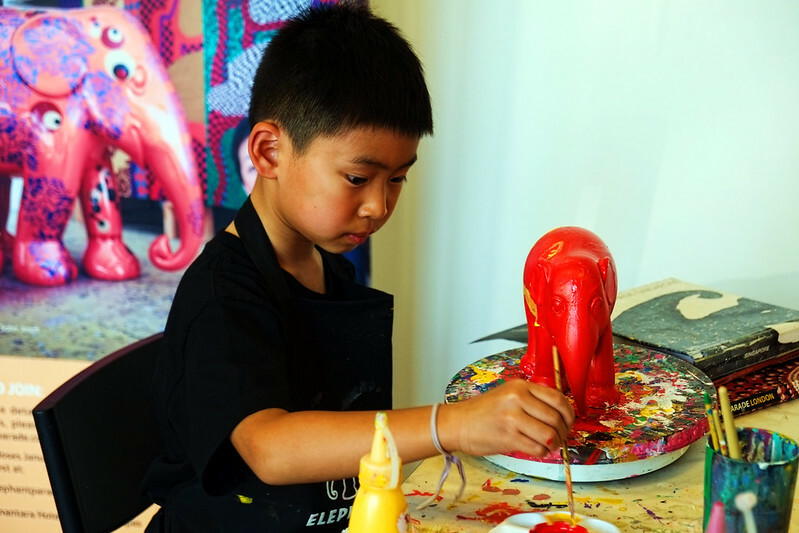 The elephants are painted by artists and celebrities. Each has a name and a number, and there is a limited number produced of each design. There is an elephant to fit almost every budget. Prices range from about $32.00 to $120.00US. 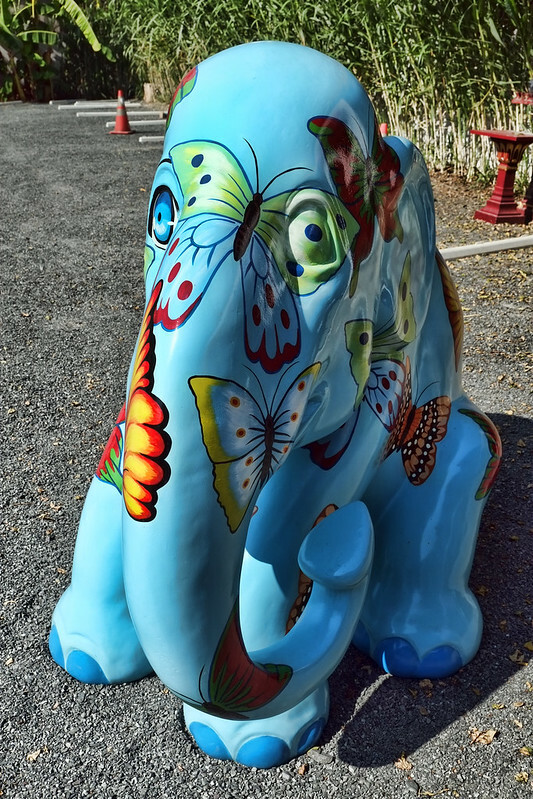 Now, Meet Mosha, the first elephant to ever receive an artificial limb, which was made possible through the Elephant Parade. 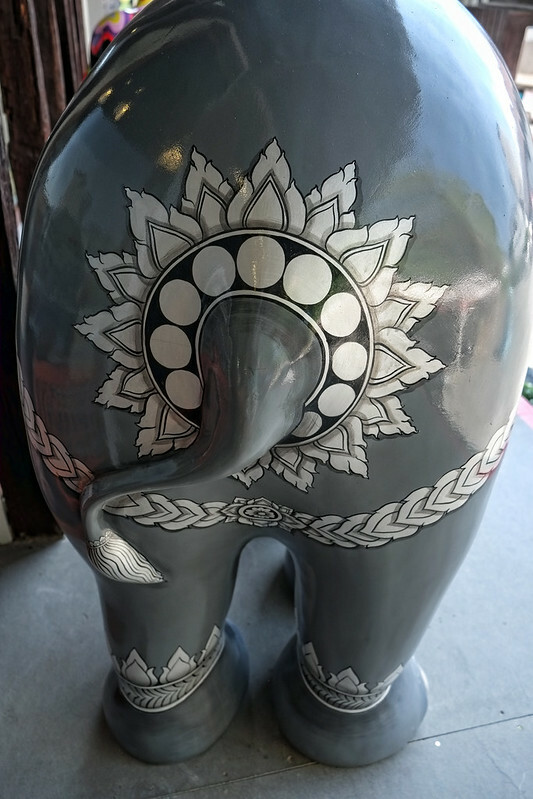 In fact, Mosha is the inspiration behind Elephant Parade. Have a look at their website. You can see even more elephants here. 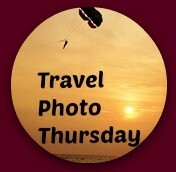 This is the 214th edition of Travel Photo Thursday. You can browse the archives here. Nancie – I have never heard of this shop, but what a joyful riot of color. 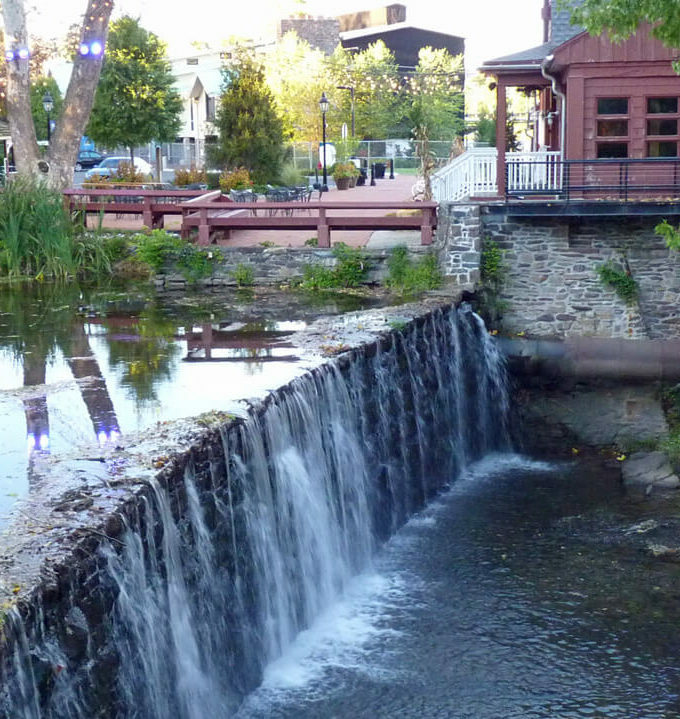 It looks like such a fun place to visit and I love your images! Hi Cindy, and thanks! It really is a fun shop, and for a good cause, too! Hi Lili…They are definitely that! Those are adorable! It’s really hard to pick a favorite. Perhaps Mr. Spotty. I’d love to have one out in my garden or bring a small one home to paint. What a great way to raise awareness. Hi Michele…Yes, I would also love to have one in a garden. My little one sits front and center in my living room, and when I’m having one of my i’d rather be somewhere else days it makes me feel better!! Nancie, I love this post! First who doesn’t love elephants, and second…the last one is too funny! Hi Corrine. You’re right! I don’t think I have ever met anyone who didn’t like an elephant. Yes, I never knew that I could be fascinated by an elephant’s behind, but so cute! As Corinne says, who doesn’t love elephants!? This is such a beautifully illustrated post and so informative. Loved this one – keep them coming!!! Hi Jackie! Thanks for your kind words. If you ever make it to a city with an elephant, don’t miss it! Nancie what an explosion of colour. My Mum loves elephants and colour – she would be beside herself. 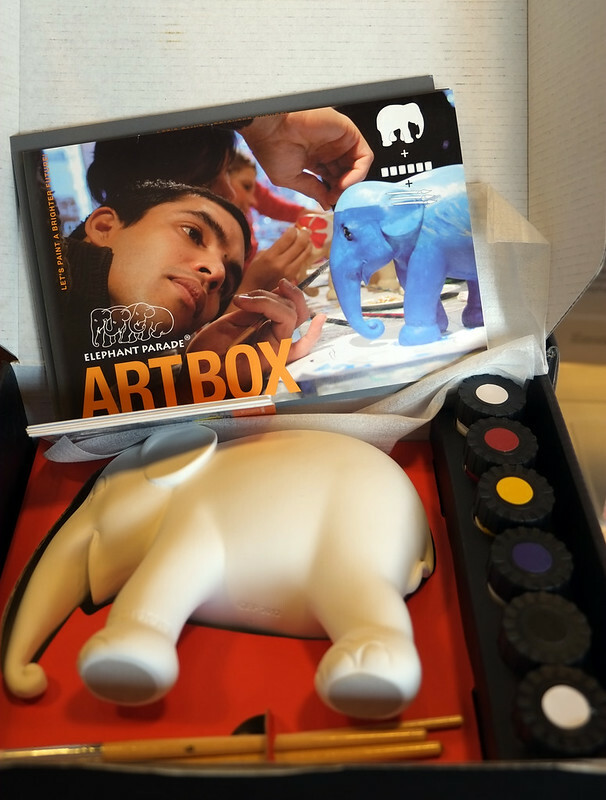 When our kids were little they would have loved painting an elephant present for her. I love where the share buttons appear on your final photo lol. Hi Jan! You’re Mum would definitely be in 7th heaven. I almost spit on out my tea when I checked the last photo…lol. I had no idea…hehe. Hi Mary. 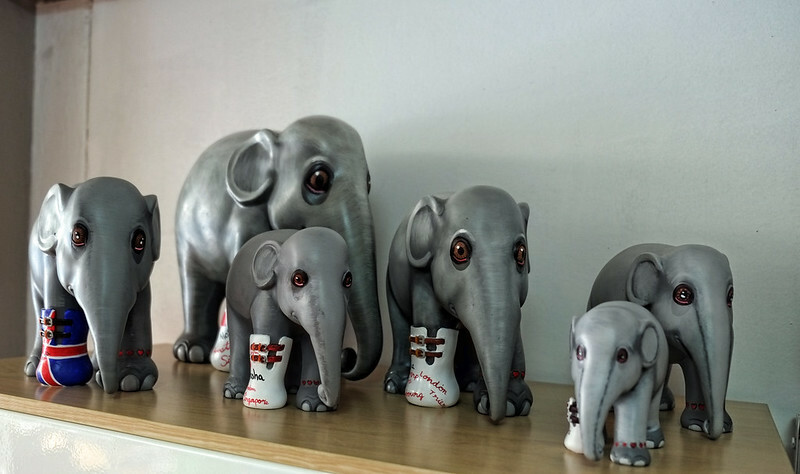 I remember your post about the Elephant Parade. 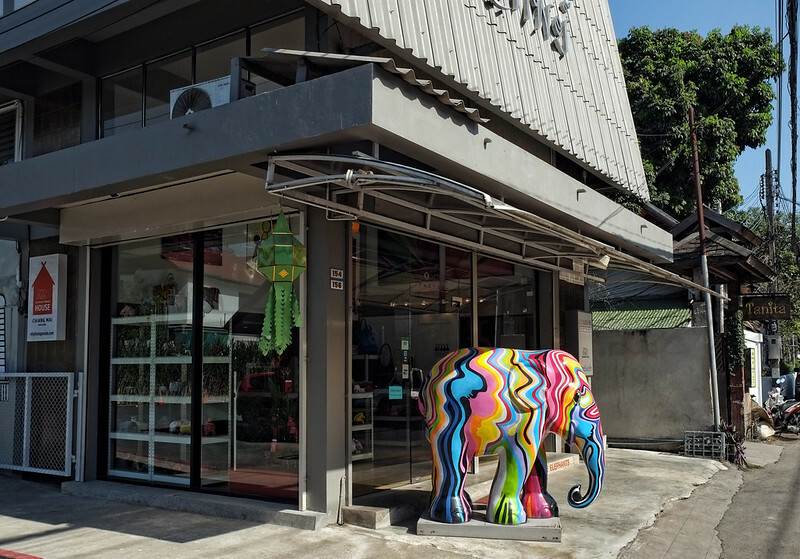 I love the EP store in Chiang Mai, and of course, the elephant I bought a few years ago is one of my favorite travel souvenirs. Those colourfully decorated elephants are adorable. I do have a soft spot for the elephants in Thailand. They are such gentle creatures. Hi Kathy. They truly are, and it makes me sad that they are often so abused. 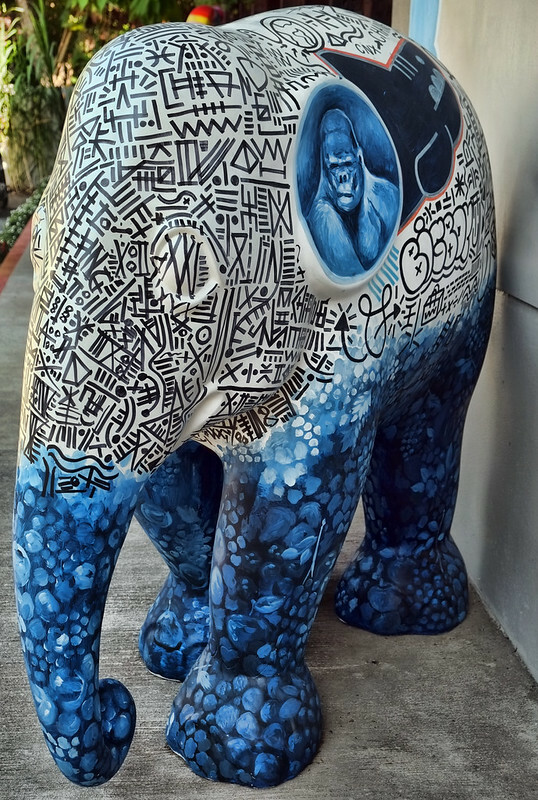 The Elephant Parade is a great organization. I love this! 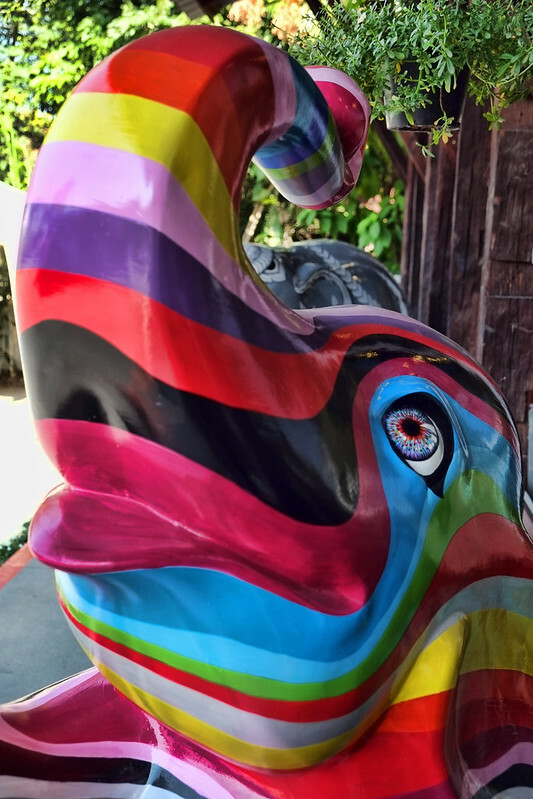 I visited the Elephant Parade when they came to Dana Point, California. Great photos of the elephants. I want to paint my own. Hi Ruth. You definitely should paint your own. That’s high on my list for the next time I am in Chiang Mai. Wow what an interesting find! All the elephants are sooooo cute. I have been to Thailand but not Chiang Mai. Now I will surely go! Great post. The elephants look amazing. So many colors, such beauty. This post is amazing. Hi Jess and Brandon. Thanks for your kind words. The artists who paint these elephants do an amazing job. What a cunning little shop. The woman we are house sitting for currently has a line-up of different elephants she has collected over the years. I would love to visit and send her one for a surprise. Loved the story about Mosha getting her artificial limb, too. Elephants are so sweet. Hi Betsy. I’m sure she would love this store. You could always have a look at their online shop. I love these elephants. I’m not sure I’ll ever make it to Chiang Mai, but so want to get to this store if I do. My daughter (in her mid-twenties) loves elephants and collects elephant statuettes. I was going to forward this post to her but have changed my mind. I think I will keep it a secret until after her birthday and get her something from the online store. 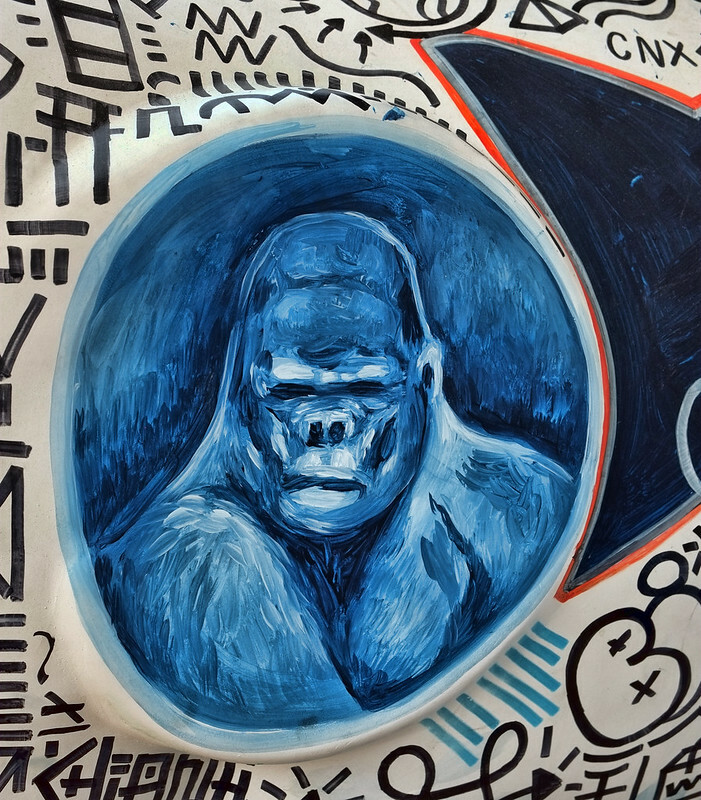 Maybe the paint your own – she is a creative sort. Thanks. Hi Donna. What a lovely idea. 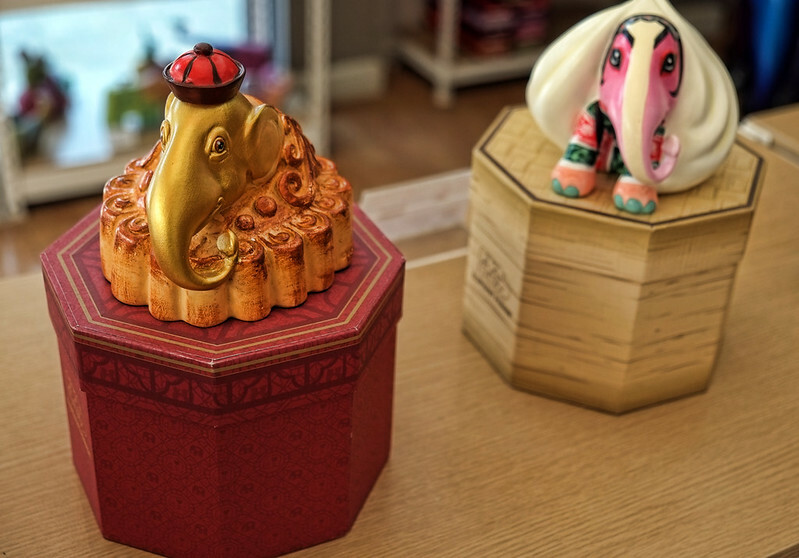 I can imagine how thrilled your daughter would be to open a package containing one of these gorgeous elephants, and they are all gorgeous! Hi Linda. Yes, and this shop is always busy! Gorgeous and vibrant photos! 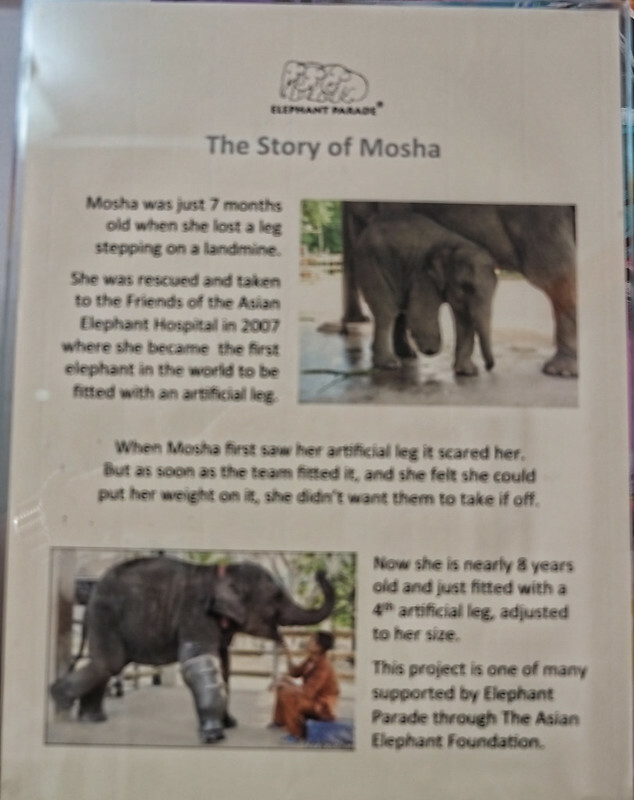 I love the story of Mosha and her artificial leg. 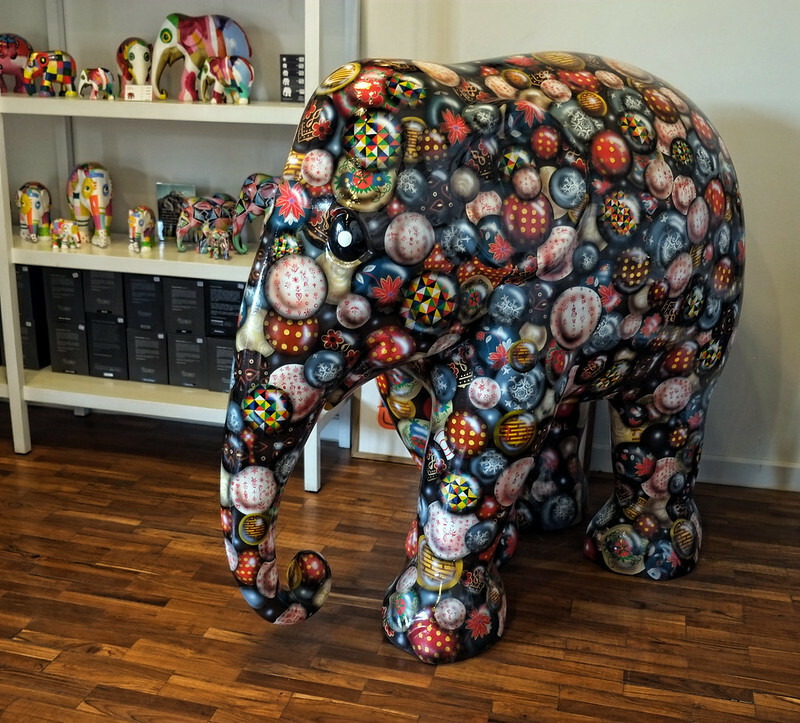 The Elephant Parade is a wonderful cause to support and the art is beautiful. I’d like one of my own! Hi Anita. I love the one that I bought a few years ago. Choosing which one to purchase was the hard part! That’s colourful and a large collection of Elephants. I’ve only seen Elephants twice in 7 visits to Thailand, once at Dusit Zoo in Bangkok and Elephants rides in Ayutthaya. I would prefer to see them in the wild. This is just so fun. I would go back to this shop over and over, too. !